Say hello to the Ummah team. A team that has come from all over the world to gather here in Kenya and change the world of Muslims. 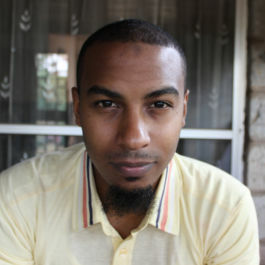 Hyder is a co-founder and the team leader of Ummah.co.ke. Passionate about deen and technology, of which Ummah.co.ke is a perfect blend. Fun Fact: Hyder is multilingual, speaks three fluently and conversant in one more. Karagania is a co-founder and content manager for Ummah.co.ke. All the fantastic content you see on the site goes through him! The most chilled out guy you'll ever meet. Fun Fact: Kara (as he's commonly known) doesn't know, and doesn't want to know how to ride a bike! I proclaim myself to be a realist because I believe in dreams. I am a son to great parents, a husband to a wonderful wife, a Swahili man and above all, a Muslim. I believe that life is not static and that a pen is powerful; as such, I write about a variety of issues all being a reflection of the experiences I go through. My name is Farhat Abbas, I love to cook and bake so much. I got so much passion in cooking in general; I always cook at home, I believe freshly cooked meals or homemade dishes taste best and they are much healthier than takeaway, moreover is cheaper. In addition to that, I love to eat food that looks gorgeous and taste yummy! Is the Executive Director, M-Power (CBO) and Director, Startup Grind. Absar Kazmi is the author and illustrator of "Life with the Ahmad Family" comics. I am an international civil servant creating value for society through the global postal system. Previously I worked in the Postal and Telecom and Media and Banking sectors enhancing corporate reputation through implementation of Marketing, PR, Business & Communication Strategies, Community and Stakeholder Relations & Development. Academically, I have an MBA in strategy and marketing, a BA (Hons) in languages and a postgraduate diploma in Public Relations. 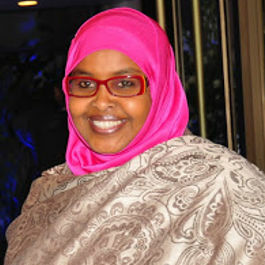 I am currently doing a PhD in Communications Studies as well as finalising an online Bachelor degree in Islamic Studies. I enjoy serving and have given of my time and expertise by serving on various boards and trusts that serve Kenyans in media, energy, education, economic empowerment and social development. I enjoy writing on topical issues that spike my interest and wish to provoke thinking and reflection with it. Much of Ummah.co.ke's content is made by people just like you who have taken up the chance to share with the world their thoughts, work and knowledge in order to benefit others. So what are you waiting for? Check out "Work with Us" and reach out to us at content@ummah.co.ke to get your content onto the site! ​Fun Fact: You have more power and ability than you may think.